Aldo is an experienced top producer Real Estate Agent with strong background in sales and marketing. Besides his Real Estate education he has studied Industrial Engineering, Business Administration, achieved his Masters degree in International Commerce, and earned his MBA in Management and Strategy. As indicative of his earnest, intelligent purpose, rewarding achievement, and high standards while studying business administration, he was inducted as proud member of Delta Mu Delta International Honor Society in Business. 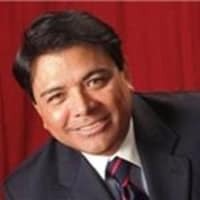 In addition, Aldo has been Senior Mortgage Broker, Principal Mortgage Broker, Branch Manager, and Regional Manager for the most prestigious Mortgage Lenders from 2002 through 2010 where he was also top producer. His strong knowledge of the South Florida Real Estate market and his business, sales, and marketing background make him the ideal Realtor to guide you during your sale or buying process. His multicultural experience has been a key factor assisting national and international clients in their residential and commercial Real Estate needs. Need Help finding your dream home? Just tell him what you are looking for and he will search in different available sources to provide you with a comprehensive report for all properties that fit your needs, including a neighborhood analysis to help you make an informed decision. Thinking about selling your home? He has a proven track record selling Real Estate throughout South Florida. He listens carefully to understand your goals and guide you through the entire process form the moment you list your property to the closing table. Ask him for a free online market analysis for your property. Interested in buying or selling Commercial Real Estate? Look no further, Aldo is an expert assisting businesses to accomplish their goals. His background in Business Administration gives him the right perspective to understand your organizational goals and create an effective strategy to successfully buy or sell any commercial Real Estate property.